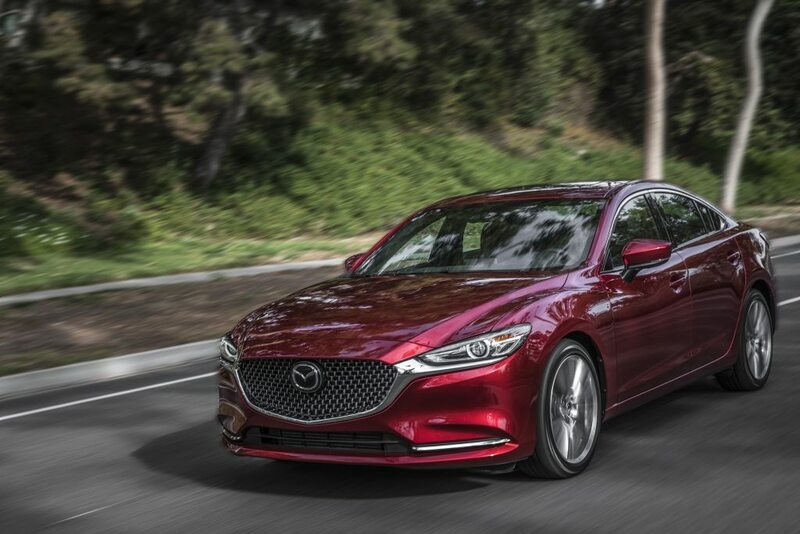 ARLINGTON, Va. — The 2018 Mazda 6 qualifies for the Insurance Institute for Highway Safety’s Top Safety Pick award when equipped with optional curve-adaptive headlights. To earn the 2018 Top Safety Pick award, a vehicle must have good ratings in the driver-side small overlap front, moderate overlap front, side, roof strength and head restraint tests, plus available front crash prevention that earns an advanced or superior rating and available acceptable- or good-rated headlights. The midsize car earns good ratings in all IIHS crashworthiness tests, including the newest evaluation for protection in passenger-side small overlap front crashes. When equipped with optional Smart Brake Support and standard Smart City Brake Support, the Mazda 6 earns a superior rating for front crash prevention. The technology prevented a collision in the 12 mph IIHS track test. In the 25 mph test, it reduced the impact speed by an average of 24 mph. It also includes a forward collision warning component that meets National Highway Traffic Safety Administration criteria. By itself, Smart City Brake Support earns an advanced rating. It doesn’t have the higher-speed functionality or the warning component but prevents a collision in the 12 mph test. The curve-adaptive LED headlights on the Grand Touring Reserve and Signature trims earn an acceptable rating. High-beam assist, a system that automatically switches between high beams and low beams, depending on the presence of other vehicles, makes up for some of the low beams’ deficiencies, boosting the rating. The sedan’s other available headlights earn a marginal rating. 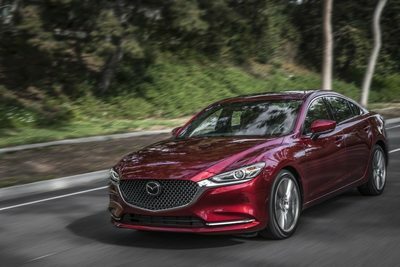 WASHINGTON, DC (July 25, 2018) – Mazda North American Operations (MNAO) today announced that the 2018 Mazda6 midsize sedan has been named as an Insurance Institute for Highway Safety (IIHS) “2018 Top Safety Pick” recipient, when equipped with optional Adaptive Front-Lighting System. To qualify as a 2018 Top Safety Pick, the non-profit IIHS mandates a vehicle must earn “Good” ratings in the driver-side small overlap front, moderate overlap front, side, roof strength and head restraint tests. It also must earn an “Advanced” or “Superior” rating for front crash prevention and an “Acceptable” or “Good” headlight rating. Standard safety features equipped in the Mazda6 Sport trim level include an electronic parking brake, rearview camera, Blind Spot Monitoring and Rear Cross-Traffic Alert. Other newly standard features include LED headlights and tail lights and Smart City Brake Support, which can automatically apply the brakes in emergency situations below 19 mph. When paired with its available six-speed automatic transmission, Mazda6 Sport can be had with the i-ACTIVSENSE package, further adding Smart Brake Support, Lane-Departure Warning, adaptive Mazda Radar Cruise Control, Lane-Keep Assist, High Beam Control, automatic on/off headlights and rain-sensing windshield wipers. The Mazda6 Touring includes all of the safety features available in Mazda6 Sport. The turbocharged Mazda6 Grand Touring comes equipped with Mazda Navigation, an auto-dimming interior mirror, auto-dimming driver-side mirror, heated side mirrors and paddle shifters mounted on the steering wheel. The Mazda6 Grand Touring Reserve adds a windshield-projected Active Driving Display with Traffic Sign Recognition and Adaptive Front-lighting System (AFS). The line-up is bookended with the new Mazda6 Signature adds a new 360º View Monitor and front and rear parking sensors.